I've always loved writing. Crafting papers in high school came naturally to me and I generally got them back with an A and a comment like "good work." It was a mix of pleasure and disappointment every time. On the one hand, yay for the "A"! On the other hand, I had put in plenty of work and I wished I could get more feedback from my teacher. Then came junior year with my favorite teacher ever. She had us enter the citywide Rotary Essay Contest. Cash prizes, honor and glory awaited, and I was dying to win. I glowed as I handed in my first draft, then received it back with a dozen or so comments and suggestions for improvement. A bit stunned, I diligently drafted and tweaked, trying to make my images and ideas fit the rotary glove perfectly. After three drafts my English teacher gave it the green light and I submitted my essay "A Presence in the Waves" (yes, I still remember the title). I won! It was more money than I had ever had and that delightful feeling that someone besides my parents thought I had writing talent. I was so honored to attend the awards brunch with my teacher. When it comes to teaching writing, it is easy to focus on how to systematize the process and fix the errors. With so many students to help catch up and so many papers to grade, who has time to enrich the writers who are already proficient? Enter, the writing contest bulletin board. 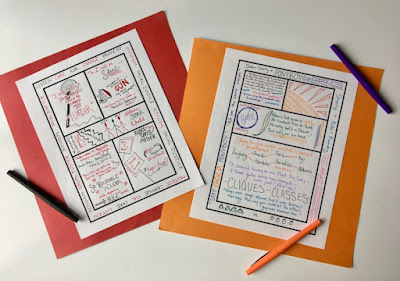 While it takes an hour or so of work at the start of the year or term to get it set up, it will pay off in giving your strong writers enrichment for the rest of the year. 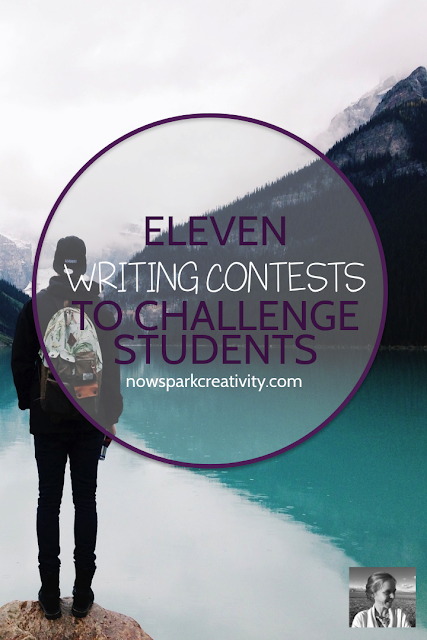 Whenever they finish early or don't need the writing lesson of the day, they can work on their submission to whichever contest they have chosen. You might even want to let your class vote on one contest from your bulletin board to focus on with a unit and have everyone to submit to.